Take a look at our weekly round up of our #PropertyPickOfTheDay homes for sale with Reeds Rains, as seen on Facebook and Twitter. Want to see more? Make sure you like us on Facebook and follow us on Twitter. This lovely family home is located on a quiet cul-de-sac and offers spacious living accommodation. 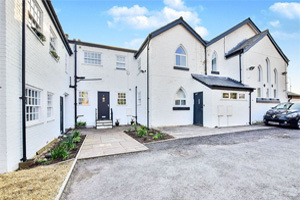 The property comprises of an entrance hall, cloakroom/wc, two reception rooms, modern kitchen, four double bedrooms with a master en-suite and a family bathroom. Set within the iconic Grade II listed Bath House Lofts development, this stunning first floor flat boasts high ceilings, brand new kitchen, bathroom and two bedrooms with a master en-suite. This three bedroom Georgian Gatehouse dates back to the 1820's and can be found perched on top of the railway bridge. The unique plot has plenty to offer including a South facing garden, workshop, paddock and more! Described as the 'best boat on the canal', Khululeka us a 60 x 10 wide beam narrow boat built in 2013 by Viking Canal Boats in Poland. This beautiful green boat was designed to be both light and airy to enhance the feeling of living close to nature. Ideal for first time buyers, this fantastic home has been cosmetically improved throughout to include a new modern kitchen and bathroom suite. There's also the added advantage of two reception rooms and a WC.